Menatech Limited has exclusive access to an advanced Computer Aided Engineering (CAE) suite incorporating amongst others Computational Fluid Dynamics (CFD) capabilities. 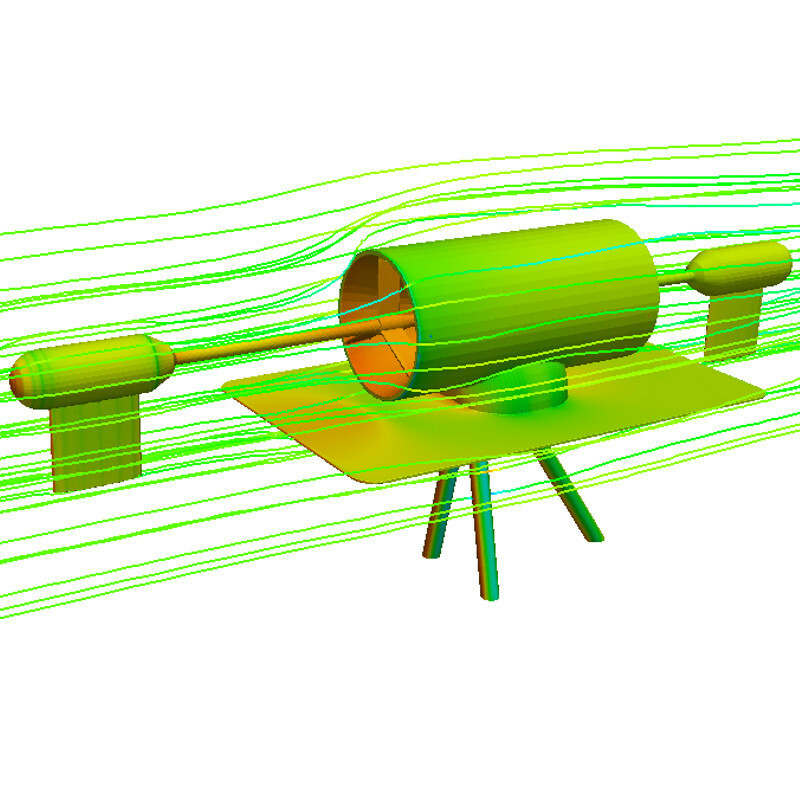 CFD is a computer simulation method providing detailed knowledge of fluid flow through or around an object or groups of objects and which predicts important performance characteristics such as velocity, pressures, concentrations and fluid-dynamic forces. This allows an in depth assessment of the intended concept design at a very early stage and significantly reduces the need for experimental testing. Using this technique Menatech Limited can swiftly home in on an optimal concept design and verify that the proposed concept has a high chance of meeting the clients specifications at an early stage in the development cycle. To keep costs low, we primarily use the world class open source software OpenFOAM but also have many years experience with other industrial codes such as Fluent, Star-CD, CFX & Phoenics. In addition, we are involved in the development of leading edge simulation methodologies such as GPU applications with the Lattice Boltzmann Method (LBM) and Smoothed Particle Hydrodynamics (SPH) for very large and previously impossible simulations in fluid dynamics.